First off, I’d like to say a big thank you to all my readers. I used to feel like I was just talking to myself, but recently, many of you have connected with me via comments, email and Twitter. You’ve really made my day by showing your support not only for this blog, but for my new reflective journal as well! So now that I’m not just talking to myself, I thought I’d ask for a little audience participation. In fact, it’s more along the lines of asking for advice. Maybe even a cry for help. 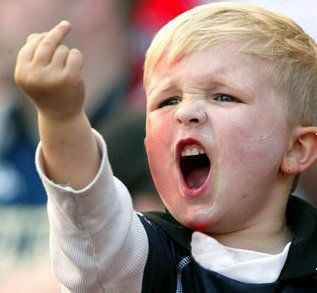 You see, for the past week, a couple of boys have been throwing rocks at my windows…Every. Single. Night. There’s no punishment or reward involved here, I’m not as young as I used to be so I doubt I can actually catch them. What do you think I should do? Pause for a moment and really think about it before you carry on reading. Great, do carry on reading, and tell me (please!) at the end. The first night rocks started banging against window, I decided I was just going to ignore them. They were probably just bored kids exhibiting challenging behaviour to try and provoke a response. If I refused to be part of their game, they’d stop. And they did. Then they started throwing harder. I tried to ignore them again, but the banging against the window was getting louder and louder, so I thought I’d better put a stop to it before they smashed the window (it’s been broken 4 times already). Anyway, I opened up the window and yelled at them to stop, causing them to run off while laughing hysterically. Half an hour later, I heard a crashing noise. Fortunately, it wasn’t the sound of another window repair bill, but instead they’d thrown a coke bottle. I must say they have very good aim…must be all the practice. The attacks stopped for that night, so I thought the worst was over. But they’ve returned every night, and they’re so bold that they actually target the window of the room I’m in (seeing the light from the outside). OK, so that’s the story so far. I’m hoping that they’ll tire of their game, but just in case they don’t, what do you think I should do? Could Your Child Have A Behaviour Problem? It’s difficult to spot a behaviour problem in its early stages. Parents are usually extremely apprehensive when dealing with their children, but their first response to a real problem is usually a heavy dose of denial. On the other hand, childcare practitioners may not have enough time alone with a child to realise that a behaviour problem is forming. To top it off, almost all children will exhibit symptoms of a behaviour problem, usually as part of a development stage the child is going through. 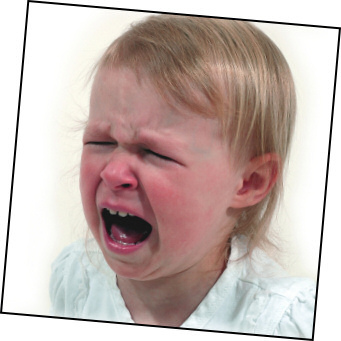 Temper tantrums, shyness, moodiness, even violent behaviour; which child doesn’t act like this from time to time? Early signs of a behaviour problem could be easily dismissed, as “every kid does it”, or “the Terrible Twos”, etc. Children may occasionally strike another child, but if a child has a problem with handling anger that is not properly addressed, an aggressive behaviour problem may form. The child could begin to irrationally attack others, in other words striking out merely on impulse. It is normal for children to go through a biting stage, but if this stage is not contained and discontinued, the child may develop a behavioural problem involving frequently biting others. It is also important to note that behaviour problems can crop up from as early as around 18 months of age. Why do behaviour problems arise? Behaviour problems can be a result of a setting which the child is uncomfortable with. This is of course highly dependent upon the child. Too much noise, the presence of a particular person, a certain kind of smell, these are all liable to set a particular child off. It could also be the result of the child’s emotional needs going unanswered, in which case the problem will begin to arise in all settings. Where emotional distress is involved, the child is more likely to hurt himself or even other children, and as such warrants careful observation. Of course, this makes it seem easy to solve the problem. Just remove the source of distress to the child, i.e. change the environment, or pinpoint the source of stress and remove it. Followed with proper support, the behaviour problem could be resolved. Naturally, remedying a behaviour problem won’t usually be such a simple task. In such cases, it is important to help the child understand what is and is not acceptable behaviour. Set limits to help the child determine the types of acceptable behaviour, so the child knows when he is behaving inappropriately. It is important that children understand the reasons behind the limits. If they continue to behave inappropriately despite understanding the reasons, the child may require further intervention from professionals. Besides setting limits, give the child choices, and time to respond to those choices as well as to think about what they did or said,. This will help them learn to control their behaviour and realise what type of behaviour is acceptable. Make sure you don’t set too many rules or choices for young children though, as you may confuse them. Always remember to focus on the behaviour, not the child, otherwise the child may develop a poor self-image. When dealing with children, it is common for a lot of frustration to be involved whether or not a behaviour problem exists; always be patient and understanding. And never give in just to keep the child quiet, this will teach the child that reacting negatively will get him attention/his way. It’s very important that children with behavioural problems are not approached with an attitude of “just treat them like any other child and maybe the problem will go away on its own”. Problems have to be addressed properly, so that progress can be made. Otherwise, the child’s condition will only worsen, causing unhappiness to not only those around the child, but to the child himself. How do you deal with challenging behaviour? Do you agree wtih punishing a child? If you found this article informative, please share it with others by clicking the share button below. Otherwise, tell me what you think was missing in the comments section.